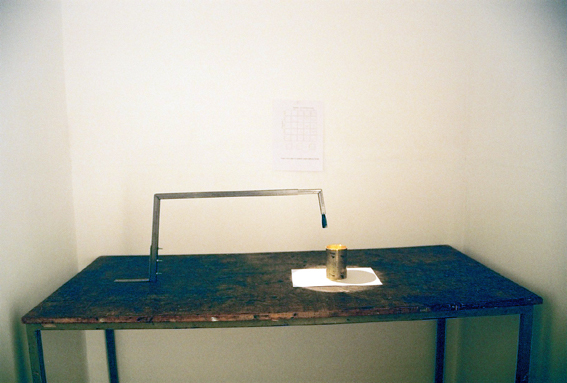 2005 installation: brass cylinder, metal arm, paper, torch, table. 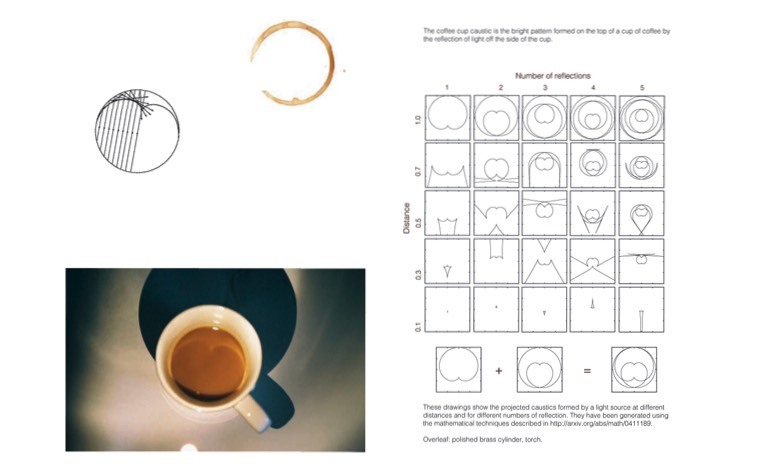 In optics, a caustic is a curve of concentrated light, defined as the envelope of light rays reflected by a curved surface.A familiar caustic is the rainbow but another commonly observed example is the coffee cup caustic, which is the light pattern created on the top of a cup of coffee by strong light reflecting off the inside of the cup. 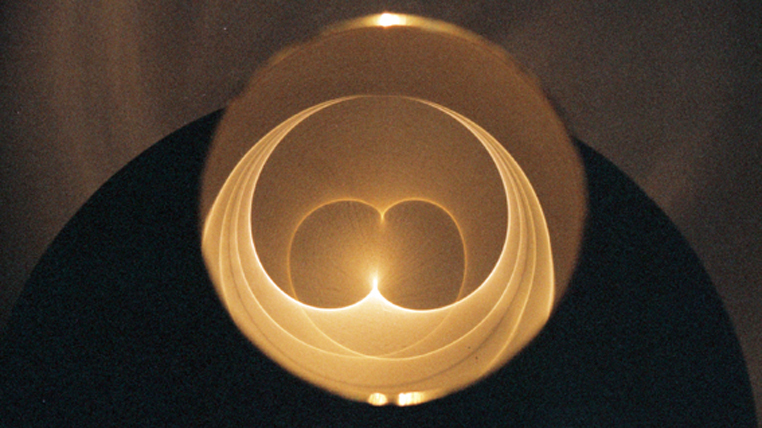 While caustics have been studied since antiquity, recent mathematical research by Dr. Brendan Guilfoyle (IT Tralee, Ireland) and Dr. Wilhelm Klingenberg (Durham University, England) has led to new discoveries about caustics and their symmetries. 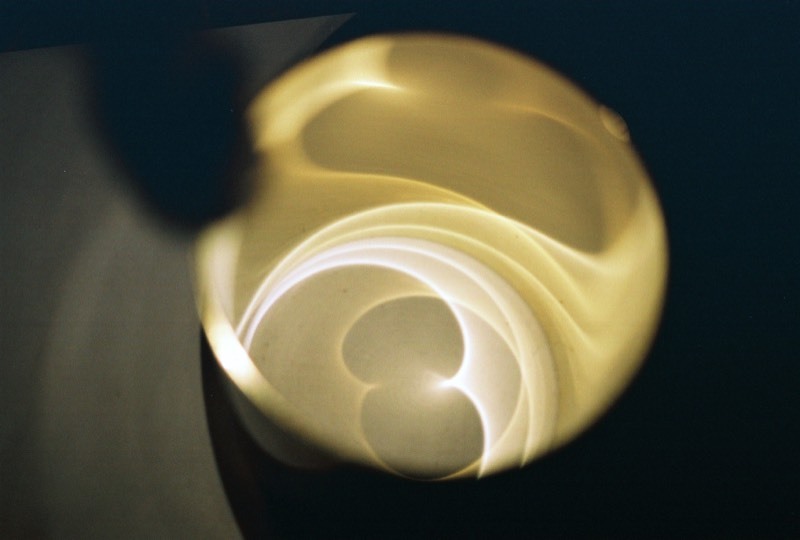 This project involved generating caustics experimentally and comparing the results with the theoretical predictions. 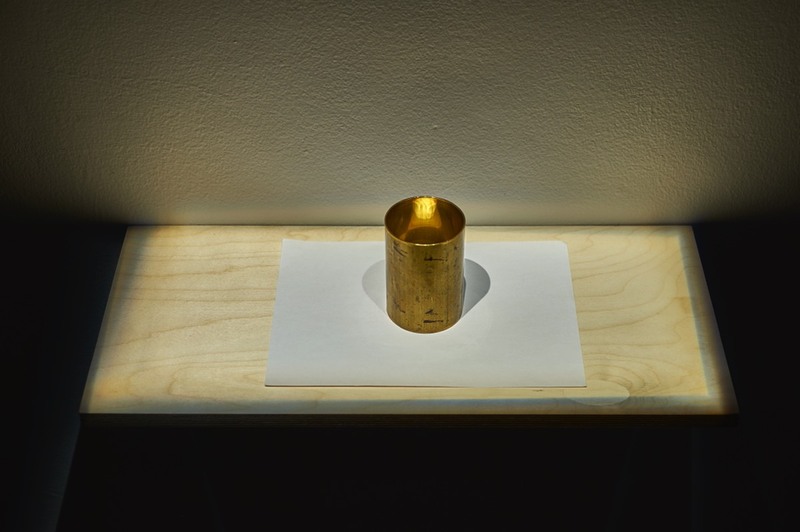 The caustics were reproduced by reflecting a bright light off the inside of a polished brass cylinder and measuring the changes in its shape by varying the distance to the light source. 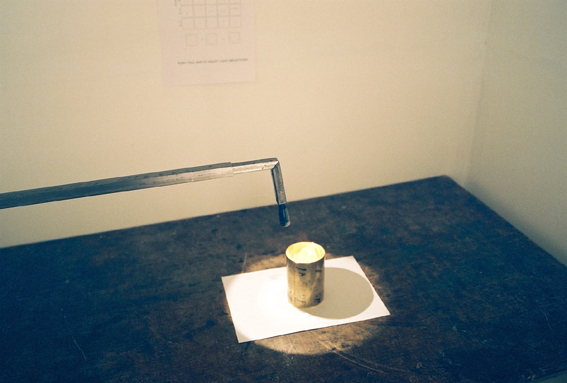 An interactive work, people can adjust the torch and view the changing reflections. The Coffee Cup Caustic oscillates between the conceptual or theoretical and the experiential; facts are looked at not as self evident objects in the world but as processes, where thinking and doing are interwoven; theory is itself a practice and doing is also thinking. Centerfold produced in collaboration with mathematician Brendan Guilfoyle, curated by Vaari Claffey for Feint magazine and Gallery for One.